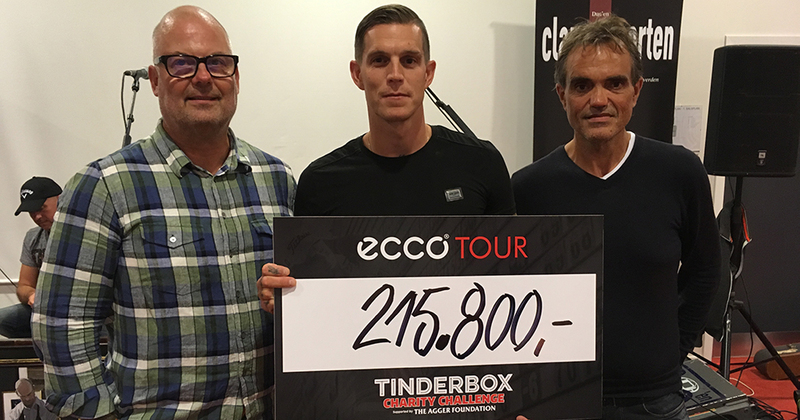 In connection with the ECCO Tour golf tournament, the Tinderbox Charity Challenge by Agger Foundation at Odense Eventyr Golf, the annual auction took place. The popular products brought in a total of 215,800 kroner to The Agger Foundation. Money now available to support young people who have not been awarded the most optimal conditions in life. A total of 149 guests attended the auction dinner at the Odense Congress Center, where Carsten Bang, Uffe Holm and the musicians Claus & Morten rocked the entertainment.